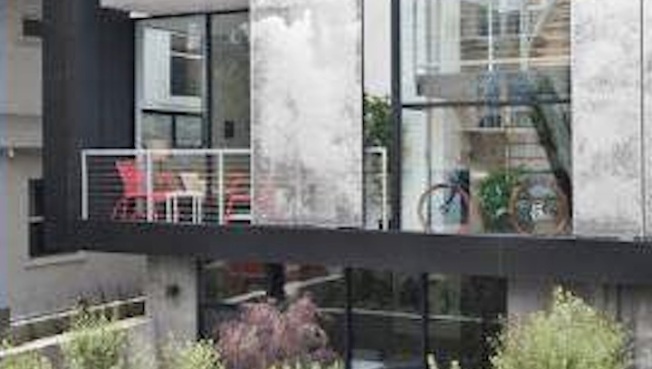 The ultramodern home stretches three stories and spans 2,250 square feet. Bobby Murphy, one of the founders of Snapchat, a photo messaging application, has recently put down $2.1 million for an ultramodern home in Venice Beach, reports the Huffington Post. The home was fused together by architect Larry Scarpa and artist Randy West. The concrete, glass, and steel structure stretches three stories and spans 2,250 square feet. The first floor features a bedroom suite and retractable glass sliders that merge indoor and outdoor living spaces. On the second floor, there's an industrial kitchen with stainless JenAir appliances, custom cabinetry, and a barbecue balcony. One of the two bedrooms is a master suite with one of the home's three bathrooms. It features a walk-in closet, spa-like bath and oak hardwood flooring, and a private balcony accessible via sliding glass doors. A rooftop deck offers mountain and ocean views.